With thousands of employees spread throughout the globe, it’s important to keep the SIS family feel — even when you only work with us for a few events. Our unique Talent Management team is there to foster an engaged relationship with employees who have flexible schedules; we’re excited to tell you more! What is Talent Management? 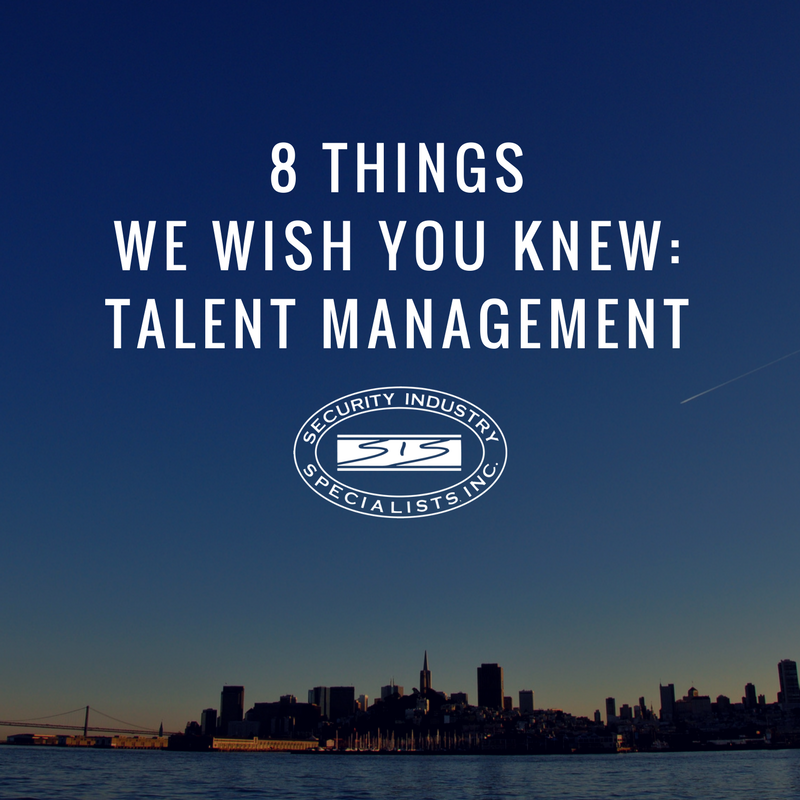 – Talent Management (TM) is a pool of part-time/flex Security Specialists that work large Special Events as well as Retail/Operations posts (as needed), and are managed by the TM Admin Team. Footprint – The TM Admin Team manages over 300 part-time/flex Specialists within California. Objectives – The purpose of the TM Admin Team is to promote loyalty and retention within our part-time/flex pool through consistent communication and effective scheduling of part-time/flex specialists. Communication – The TM Admin Team contacts the TM Specialists at least once per month, just to say hello. Staff Interaction Log (SIL) – is a management tracking tool, utilized by the TM Admin Team, that records all employee interactions with the TM Specialists (communication touch points and performance notes). This tool enables the TM Admin Team to track an employee’s progress amongst multiple divisions and provide necessary mentorship. Special Events – TM Admin are on-site for in-person check-ins with Specialists at all major special events (where TM Specialists are present). Recruiting Liaison – Through constant communication and performance tracking, the TM Team works closely with Recruiting to refer TM Specialists for open positions to provide Specialists with the opportunity for regular work and reduce the need for external recruiting. Scheduling – Although the TM Admin Team maintains the TM Specialists availability, TM does not schedule TM Specialists. TM Specialists are scheduled by either the Special Operations Scheduling Team (for Special Events and Retail) or the appropriate campus scheduling team (for Operations). Founded in 1999, Security Industry Specialists, Inc. provides unique security solutions to Fortune 500 luxury brands and tech companies, special events, and high-profile executives. With corporate offices in Culver City, Seattle, San Jose, New York City, Miami and Brazil, our partnerships demonstrate that our boutique approach is a welcome change in an industry not typically recognized for creative solutions. Those who have experienced SIS — whether as an employee or client — will attest to the fact that there is something different about the way our employees conduct themselves and feel about their responsibilities. Ultimately, it is this commitment and drive that makes SIS the industry leader in security. SILs are great! Waiting for them to become available across all facets of the company.